Does Changing Your Diet Heal Ulcers? The recommended diet for a stomach ulcer has changed over the years with increased understanding of what actually causes the condition. While ulcer sufferers were once doomed to a diet of bland and tasteless foods, recent evidence indicates this may not be necessary. Physicians once believed a stressful lifestyle or anxious temperament caused ulcers, and sufferers were accordingly advised to avoid stressful situations and seek out relaxing activities. Later, the focus shifted to diet, and ulcer patients were cautioned to avoid spicy, salty, acidic, or fatty foods - in other words, just about everything - and instead adopt a bland diet menu. In recent years it has come to light that the overwhelming majority of stomach ulcers are in fact caused by the bacteria Heliobacter pylori, though in some individuals diet can certainly play an aggravating role. With this in mind, treatment usually takes the form of antibiotic therapy or other pharmaceutical medications, and lifestyle factors such as diet are modified to accelerate healing and avoid irritation. The University of Maryland Medical Center asserts diet is generally not a significant factor in the prognosis for a stomach ulcer. You may find certain foods irritate your ulcer more than others, and should discuss dietary modifications with your doctor as one part of a comprehensive treatment plan. While most sources seem to agree, to the great relief of ulcer patients, no particular foods need to be universally avoided, there is some evidence that certain foods may promote healing. The University of Michigan Health System recommends chewable licorice to boost the healing of the mucous membrane in your stomach. The same source reports salt, caffeine and sugar are common irritants that you may wish to avoid. The University of Michigan Health System further recommends drinking one quart (roughly one liter) of fresh cabbage juice daily for 10 to 14 days, and that relief of symptoms may occur after just a few days of treatment. While this may seem like snake oil, it is borne out by science, at least in part. A thesis paper published by Auburn University reports the use of cabbage juice for ulcer treatment dates back to the 1950s, and continues to be used with success today. The success of the treatment is supported by the presence of a substance known as S-methylmethionine, commonly dubbed vitamin U, that happens to be particularly rich in cabbages. 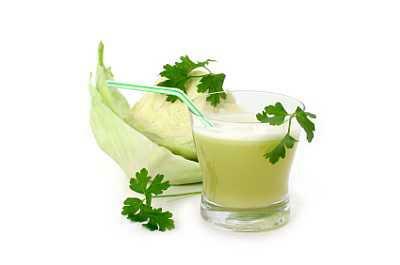 While there is comparatively little supporting evidence for the use of cabbage juice for a stomach ulcer, there is also very little risk in attempting the treatment. Similarly, there is some evidence the use of honey may have a healing effect on stomach ulcers. Honey has been used as a natural antibiotic for thousands of years, so it makes sense that it may be helpful in the eradication of H. pylori. As with cabbage, there may not be a great deal of research supporting this dietary measure, but you are unlikely to do any harm by adding a tablespoon of honey to your chamomile tea or oatmeal. In the past, ulcer sufferers have observed the recommendation to avoid both stress and many foods was asking the impossible, since every dietary decision seemed to induce stress. Now that you know no foods are truly off limits and very few are even discouraged, you can enjoy stress-free eating and focus on including foods that will speed your healing process. By adopting your own healing diet for a stomach ulcer and avoiding foods that seem to be irritating to you personally, you can speed your healing while still enjoying many foods you love.